The city of Malacca lies in the southwestern region of peninsular Malaysia, in a state of the same name. A very old city, Malacca is the home of many important Malaysian cultural and historical sites. Given that Muslim is the majority religion in Malaysia (a country with a population of nearly 35 million as of 2018), the cityscape of Malacca features numerous beautiful mosques. 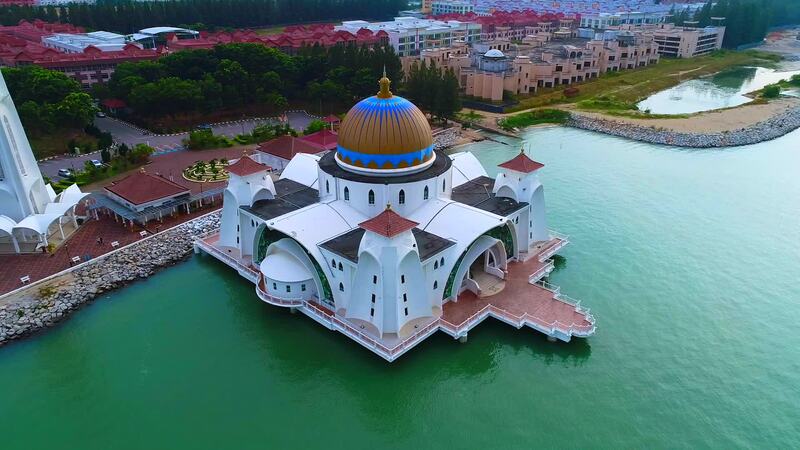 In this video, contributor Jeremy1975 flies his drone over a mosque on a stunning man made lake in the city.